HM Revenue and Customs (HMRC) have stated that Stamp Duty revenue from residential property sales in Q3 2018 has fallen from the £2.605bn seen in the same period of 2017, to £2.347bn in 2018, as the number of properties liable to tax fell from 302,700 to 279,500. Several factors have been cited, including the devolution of Stamp Duty revenue to Wales and a large reduction in duty payable by first-time buyers. 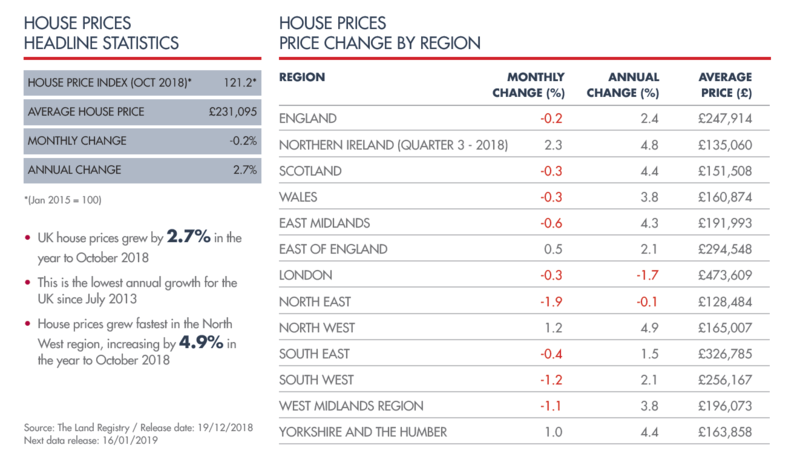 Additionally, there has been a dramatic fall in numbers of house purchases in the London region, where estate agents say high taxes have “suffocated” the market. To put this in perspective, a buyer of a £1 million home in the capital – such as a relatively modest three or four-bedroom terraced home – would be paying £43,750 in tax, whilst an upmarket £3 million home would see a Stamp Duty charge of £273,750. The Financial Conduct Authority (FCA) have reported that £1 million-plus mortgages have reached their highest level since records began in the first quarter of 2014. The figures show that 820 mortgages, averaging £1.6 million, were approved in the three months to September this year, bringing the total value of loans within this bracket to £1.37 billion and representing a 47% increase on the previous quar ters borrowing at this level. Ilke Homes, a Yorkshire-based manufacturer of fully-fitted, three-bedroom, pre-fabricated houses, have started delivering their first homes across the country. They plan to produce eight homes a day, at a factory cost of between £65,000 and £79,000, depending on specifications. However, these figures do not include the cost of land, on-site assembly or the connection of services, which could double or triple the final price. Their unique manufacturing process will reduce the construction time of a traditionally built home, from the current average of forty weeks, to just ten days. The company has plans to produce 2,000 houses a year initially, increasing output to 5,000, which would make them one of the major volume housebuilders in the country.